Produktinformationen "On the Emergence of the New-Imperialist Countries"
Für die Diskussion zum 100. Jahrestag der russischen Oktoberrevolution stellt die MLPD der internationalen revolutionären und Arbeiterbewegung ihre neu erschienene Blaue Beilage „Über die Herausbildung der neuimperialistischen Länder“ vor. Diese Ausgabe wurde ins englische übersetzt. The analysis of the emergence and development of a number of new-imperialist countries became necessary because this new phenomenon dramatically calls into question the present fabric of the imperialist world system. On the firm foundation of the analysis of imperialism, starting from Lenin, since 1969 the MLPD has fundamentally and concretely analyzed new manifestations and essential changes using the dialectical-materialist method: state-monopoly capitalism in the Federal Republic of Germany, the restoration of capitalism in the Soviet Union and in China, the emergence of neocolonialism, the reorganization of international production and the development of the environmental crisis. This “Blue Supplement” builds upon this ideological-political line, worked out in programmatic documents and the system of MLPD’s theoretical organ, Revolutionärer Weg, and develops it further. The book Dawn of the International Socialist Revolution advanced the thesis of the emergence and development of new-imperialist countries for the first time in 2011. The present analysis provides scientific proof of this well-founded thesis. This analysis is a contribution to a consciousness-raising discussion among the masses of workers, women and youth. In addition, it sets out the position of the MLPD vis-à-vis the international revolutionary and working-class movement for the discussion on the 100th Anniversary of the Russian October Revolution. 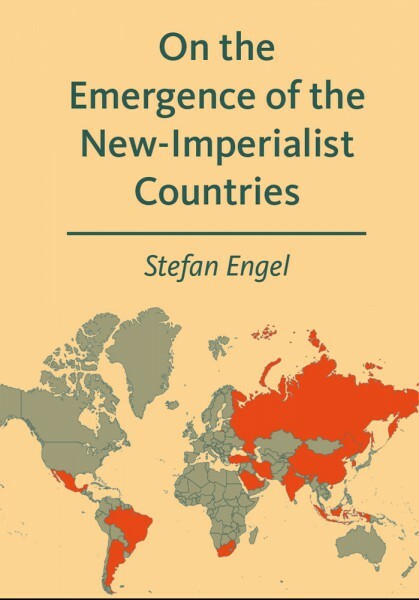 Weiterführende Links zu "On the Emergence of the New-Imperialist Countries"
Kundenbewertungen für "On the Emergence of the New-Imperialist Countries"